and receive 5 FREE bonuses to help you use your oils with confidence! Are you interested in having a healthier household? Would you like more control when it comes to managing your family's health? Are you looking for effective, chemical-free solutions to improve your quality of life? If so, essential oils can help you! If you've spent some time on my Family Essential Oils website, you've seen many reasons why essential oils are the ideal way to promote your family's health and well-being. But if you haven't spent much time on the site -- or would just like the reasons summarized -- here are a few highlights to help you see why I'm so passionate about using essential oils in the home. Essential oils have a long history, used effectively by the Egyptians, Greeks, and Romans... and found in the Bible, too. Essential oils have a unique molecular structure, allowing them to strengthen the body for greater wellness. Essential oils are an ideal support to the body's many systems. Essential oils are entirely natural and safe when you use a quality, therapeutic-grade product. Essential oils serve as excellent natural air purifiers and chemical-free household cleaners. Essential oils are uplifting and provide a natural way to elevate your mood. Essential oils can be used with people of all ages, from children to the elderly... and they are enjoyed by all. Essential oils can help you function at your best... as you face the stress and strain of everyday life. How Do You Know Which Oils are Best? Once you decide you'd like your family to experience the benefits of essential oils, you'll wonder which oils are right for you to use. The answer to that question involves two criteria: quality and value. After all, you'll be applying them to your skin, diffusing them, and possibly even ingesting them... and this is something you only want to do with the best therapeutic-grade essential oils. In these tough economic times especially, you want your money to go as far as it can. And that's why I believe Young Living Essential Oils' Premium Starter Kit is the best way for you to get started with essential oils . . . The products in this kit are produced and distributed by Young Living Essential Oils, the world leader in essential oils. As a company, Young Living maintains the highest possible standards through its unique process of planting, cultivating, harvesting, and distilling via its one-of-a-kind SEED to SEAL program. 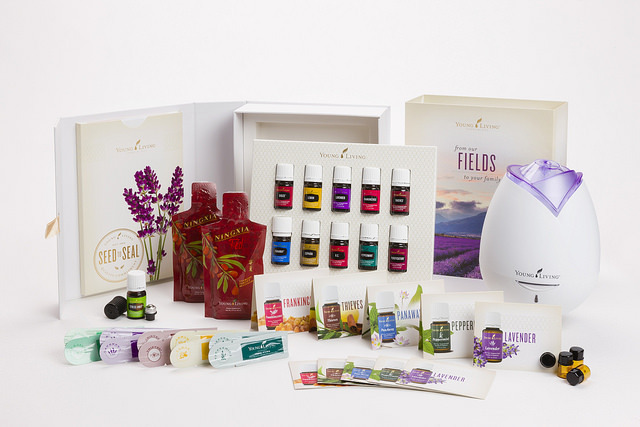 As a result, you can be assured that the Premium Starter Kit contains the highest quality therapeutic-grade essential oils available for you and your family. Not only that, you can be assured the kit you receive is of optimum value, because it supplies everything you need –- and more –- for you to begin using essential oils to create a healthier lifestyle for your entire household. Young Living's Premium Starter Kit is made up of 3 parts. . . and each one is extremely valuable for any newcomer to essential oils. And when you put all these parts together, you'll wonder how you can get so much for so little. . . When you join a big box store like Sam's Club or Costco, all you get is a card with your picture on it. But with a Young Living Membership, you receive so much value right from the start. . .
One 5 ml bottle of Stress Away blend. A natural solution to combat normal stresses that creep into everyday life. Stress Away is the first product to contain the unique stress-relieving combination of lime and vanilla pure, therapeutic-grade essential oils. One roller fitment for roll-on application. Just snap it on your bottle of Stress Away – or any bottle of your choosing – and convert it to a convenient essential oil roll-on. Two sample packets each of Young Living's five most popular essential oils and blends—Lemon, Peppermint, Lavender, Peace & Purification, and Thieves. A great way to share oils with others. Two 2 ounce NingXia Red samples. Young Living's popular whole-food juice product. Contains essential oils and the renowned Ningxia wolfberry (used by Chinese Olympic athletes). Essential Oils at a Glance reference guide. This convenient quick reference provides useful tips for improving your life with Young Living's most popular single oils and blends. Product Guide. Descriptions of all of Young Living's products, from A-to-Z. A great survey of the company's diverse offerings of essential oils, and essential oil-related products. Wholesale Pricing. This, in my opinion, is the best membership benefit of all... a 24% discount off the retail price of all Young Living essential oils and essential oil-based products. In addition, your membership includes must-know information on how to use your essential oils, Young Living's company history, their exclusive Seed to Seal process, product categories, and much more! There's even information about how you can start a Young Living business of your own. And, keep in mind, too, this is a Lifetime Membership. . . there are no annual fees. . . The Premium Essential Oils Collection is an excellent way to get started with therapeutic-grade essential oils. In it you'll find 10 of Young Living's most popularly used single oils and blends. The oils in this collection make it easy for you to begin experiencing the wide range of benefits essential oils can bring to your family. Once you get started with these oils, you'll quickly discover the many ways they support your home, health, mind, and body. 1- 5 ml Lavender... Lavender (Lavandula angustifolia) has a sweet, floral aroma that is soothing and refreshing. Lavender’s aroma is great for relaxing and winding down before bedtime; add to bath or diffuse to create a calming and comforting environment. Lavender essential oil may compliment your favorite shampoos, lotions and skin care products. Because it is the most versatile of all essential oils, no home should be without it. 1 – 5 ml Peppermint Vitality... A small bottle of peppermint can accomplish so much! I find myself reaching for it all the time... Peppermint (Mentha piperita) is one of the oldest and most highly regarded herbs for supporting normal digestion, including promoting healthy intestinal function and gastrointestinal system comfort. This is an oil I'm never without. 1 – 5 ml Lemon Vitality... Lemon (Citrus limon) essential oil includes the naturally occurring constituent limonene. Lemon may also be used to enhance the flavor of foods and drinking water. The familiarity of this oil makes it ideal for those just getting started on their essential oil journey. 1- 5 ml Frankincense... Frankincense (Boswellia carterii) includes the naturally occurring constituent boswellic acid, and has a woodsy, warm, balsamic aroma. Diffuse Frankincense during prayer and meditation for grounding and purpose. Applying this oil topically may help smooth the appearance of healthy-looking skin, and is excellent to use for massage after activity. 1 – 5 ml Panaway... PanAway® has a stimulating aroma and is a popular combination of Wintergreen, Helichrysum, Clove, and Peppermint essential oils. This blend is ideal to apply topically after exercise, and supports the appearance of healthy skin coloration. The essential oils in PanAway include naturally occurring constituents methyl salicylate, gamma-curcumene, menthol, and eugenol. 1 – 5 ml Copaiba Vitality... Copaiba is a powerful essential oil from South America that has traditionally been used to aid digestion and promote wellness. Copaiba contains the highest amounts of beta caryophyllene (55 percent) of any known essential oil. It has a pleasant taste and a sweet aroma. 1- 5 ml Purification... Purification® Essential Oil Blend helps freshen the air and eliminate odors with its unique combination of Citronella, Lemongrass, Lavandin, Rosemary, Tea Tree, and Myrtle essential oils. Add Purification oil to Animal Scents™ products to moisturize skin and improve the appearance for healthy looking skin or apply topically to enjoy the outdoors annoyance free. 1 – 5 ml Thieves Vitality... Inspired by the legend of four 15th-century French thieves who formulated a special aromatic combination composed of clove, rosemary, and other botanicals they used while robbing the dead and dying. Thieves supports healthy immune function, and includes Eucalyptus radiata essential oil, which may help maintain a healthy respiratory system. As a dietary supplement, Thieves is an ideal complement to a daily wellness regimen. 1 - 5 ml DiGize Vitality Blend... One of Young Living's exclusive and proprietary dietary supplements. This unique blend contains Ginger, Anise, Fennel, Peppermint, Tarragon, Lemongrass, Patchouli, and Juniper essential oils, and includes naturally occurring constituents like menthol, citrol, and zingiberen. Use DiGize with every meal, along with Essentialzymes-4™, to support a daily wellness regimen. When traveling abroad, use DiGize as a dietary supplement in your water. A diffuser is a superb way to make essential oils a part of your lifestyle. It's also an extremely easy way to maintain your health while enjoying the pleasing aromas of essential oils. It used to be that Young Living would provide a discount coupon for a diffuser to new members. 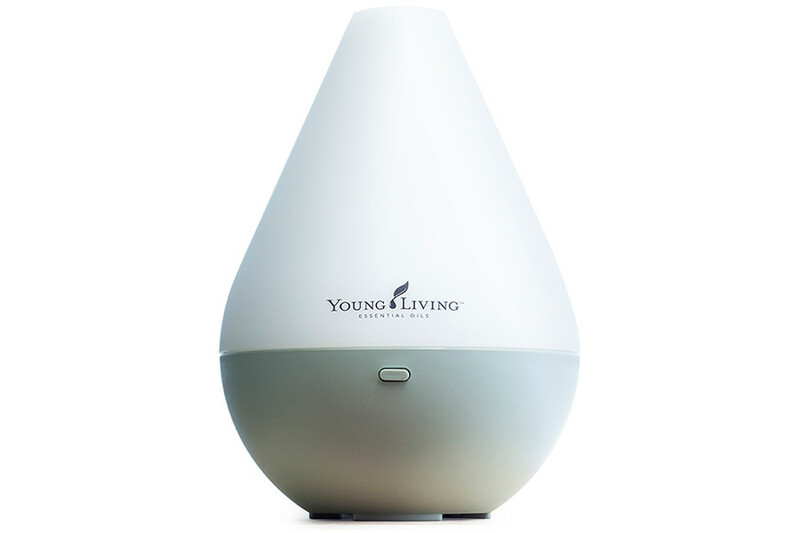 . . but now they are including their most popular diffuser for FREE as a way of welcoming newcomers to the Young Living family. This diffuser is a fabulous way to disperse essential oils into the air to eliminate odors and purify the air. Getting this diffuser with your Premium Starter Kit is ideal for making full use of your essential oils when you get them. . . and it's a great deal, too. Once you have this diffuser, you'll always be able to have a fresh smelling home. You'll love it, and your guests will comment on how well your home smells. 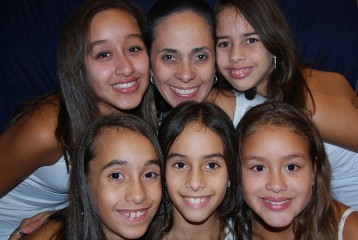 You don't have to remain powerless when it comes to improving your family's overall well-being. 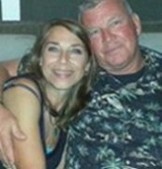 Like Twyla and her family, you can improve your family's lifestyle naturally with therapeutic-grade essential oils. The quality and value of the Premium Starter Kit is incomparable. You can be sure of it! You'll get the service you need. . .
That's because you'll have access to all the help and information necessary to use your essential oils with the assurance you desire. There's nothing worse than buying something and then not knowing how to use it. I hate it when that happens to me, and I don't want it to happen to you either. I want you to get all you can out of your essential oils. . . for your good, and the good of your whole family! Access to the “Private” Family Essential Oils Facebook Group. Here you can get access to me and other members of our essential oils community to share ideas and ask questions. Access to “New Members” Quick-Start Videos. 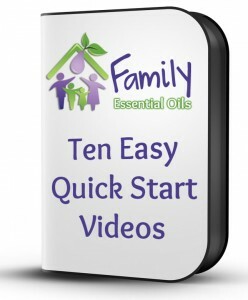 This set of 10 videos provides just what you need to get you using your oils with confidence in hardly any time at all. Access to Ongoing Webinars and Training Videos. Regular training is yours through Family Essential Oils as long as you maintain your membership. 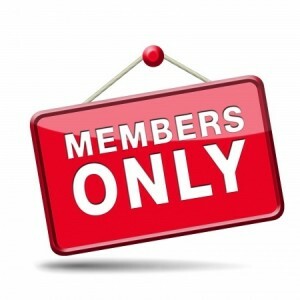 Access to “Members Only” Section of the Family Essential Oils web site. Here you can view recorded webinars and training videos, as well as access special essential oil documents... anytime you want! Exclusive Family Essential Oils Monthly Newsletter. Sent via email at the beginning of each month, provides important info about new resources to help you in your essential oils journey. It also includes our top tipsand recipes. In addition... My pledge to you, when you purchase a Premium Starter Kit, is to provide ongoing support -- via phone, social media, and email -- as long as you maintain your Young Living membership! 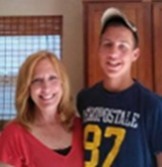 I want to tell you how much I appreciate my Family Essential Oils support system. Your team has developed such great resources for us to use. 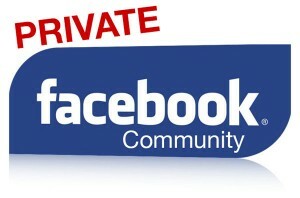 I've learned a tremendous amount about essential oils from your member website and your private Facebook page. I really appreciated the 10 Quick Start Videos. They really did give me a quick start on using the oils to support my immune system. The educational resources you developed have helped me understand how the oils work and which ones to use to reap the benefits of the oils. I cannot thank you enough for all the time and effort you and your team have put into sharing these tips and techniques with us. I am humbled and privileged to be a member of your "family." If you're at all like me, you look for three things as you seek to meet the needs of your family. . . you want quality, value, and service. Well, this is exactly what you get with your order of a Premium Starter Kit. You get the highest quality therapeutic-grade essential oils available today from Young Living Essential Oils. You get great value as you are supplied with everything you need to start using essential oils for a healthier family. You get excellent service through the many resources provided by Family Essential Oils. Getting my Premium Starter Kit was like getting a Christmas gift in the springtime! The oils chosen for that kit are truly "everyday oils!" And with all the helpful hints and benefits offered through Family Essential Oils, I am learning to expand my personal healthcare knowledge in a way that helps my whole family. What a blessing this has become! All that's left for you to start benefiting from your own membership, essential oils, diffuser and training resources is to place your order! If your were to add up the value of the membership, Premium Oils Collection, and diffuser, the total would come to $301.90. 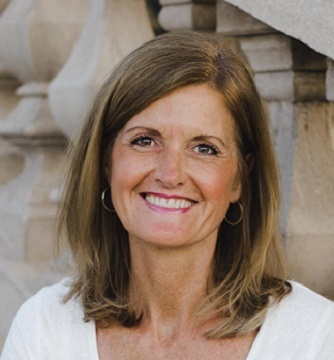 It's hard for me to come up with an exact value, because the training resources are a result of all my hours of writing materials, producing videos, and answering emails and Facebook messages. That's right, just $160 will get you started. . . and get you started the right way... with the highest quality oils available, and the help you need to use them. There's no greater feeling than that which comes from being able to take charge of your family's health in such a natural, effective, and convenient way. 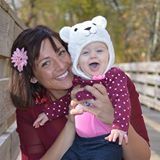 . .
of your household by joining the hundreds of moms I've already helped use essential oils effectively! one business day to confirm your order and obtain your payment information. 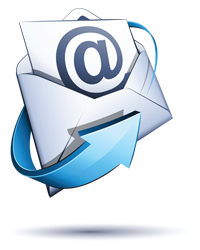 If you prefer to contact us by phone, call 1-863-370-5430. 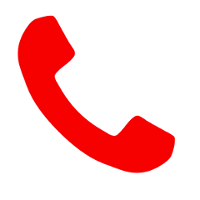 Please leave a message if no one is immediately available, and we'll get back with you as soon as we can. When I get with you on the phone to complete your order, I, or a member of my team, will take time to orient you to all the resources available to you... and answer all your questions. P.S. In addition to all the bonus items mentioned above, you'll also receive other resources via snail mail that will help you use your essential oils to the fullest. P.P.S. 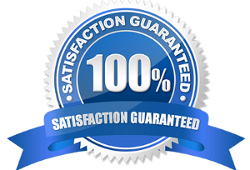 Your order is 100% satisfaction guaranteed for 30 days. If you choose to return your Kit during that time, you will receive a complete refund.